The Neurosurgeon is a medical doctor with specialized training in treating patients with traumatic brain injuries. The Neurosurgeon may have to do brain surgery to help save a person's life. Dr. Manley's particular specialty interests lie in the repair of injury to the central nervous system. 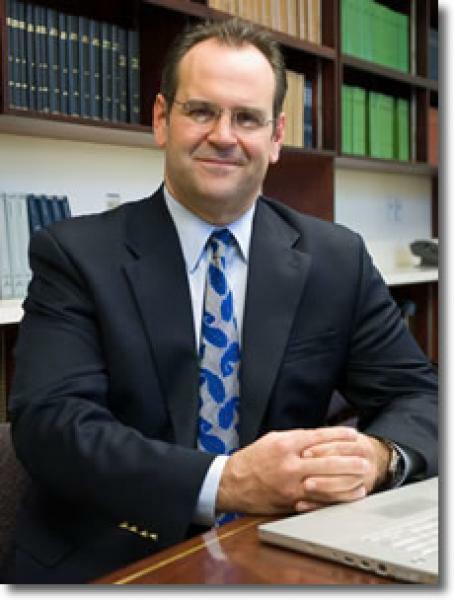 Among Dr. Manley's research interests are investigations of brain oxygenation during hemorrhagic shock, the role of aquaporin water channels in cerebral water transport, direct measurement of oxygenation and metabolic, cellular, and molecular responses in clinically relevant animal models of brain injury, and metabolic monitoring of severely injured patients during resuscitation and critical care. Zador Z, Magzoub M, Jin S, Manley GT, Papadopoulos MC, Verkman AS. Microfiberoptic fluorescence photobleaching reveals size-dependent macromolecule diffusion in extracellular space deep in brain. FASEB J 2007; . Sorani MD, Manley GT. Dose-response relationship of mannitol and intracranial pressure: a metaanalysis. J Neurosurg 2008;108(1):80-7. Rosenthal G, Hemphill JC, Sorani M, Martin C, Morabito D, Meeker M, Wang V, Manley GT. The role of lung function in brain tissue oxygenation following traumatic brain injury. J Neurosurg 2008;108(1):59-65. Smith JS, Chang EF, Rosenthal G, Meeker M, von Koch C, Manley GT, Holland MC. The role of early follow-up computed tomography imaging in the management of traumatic brain injury patients with intracranial hemorrhage. J Trauma 2007;63(1):75-82. Zador Z, Bloch O, Yao X, Manley GT. Aquaporins: role in cerebral edema and brain water balance . Prog Brain Res 2007;161:185-94. Sorani MD, Hemphill JC 3rd, Morabito D, Rosenthal G, Manley GT. New approaches to physiological informatics in neurocritical care. Neurocrit Care 2007;7(1):45-52. Quiñones-Hinojosa A, Chi JH, Manley GT. Emergent placement of halo orthosis after a traumatic cervical injury leading to a cerebral abscess. J Trauma 2007;62(6):E11-3. Auguste KI, Jin S, Uchida K, Yan D, Manley GT, Papadopoulos MC, Verkman AS. Greatly impaired migration of implanted aquaporin-4-deficient astroglial cells in mouse brain toward a site of injury. FASEB J 2007;21(1):108-16. Chi JH, Knudson MM, Vassar MJ, McCarthy MC, Shapiro MB, Mallet S, Holcroft JJ, Moncrief H, Noble J, Wisner D, Kaups KL, Bennick LD, Manley GT. Prehospital hypoxia affects outcome in patients with traumatic brain injury: a prospective multicenter study. J Trauma 2006;61(5):1134-41. Ikossi DG, Knudson MM, Morabito DJ, Cohen MJ, Wan JJ, Khaw L, Stewart CJ, Hemphill C, Manley GT. Continuous muscle tissue oxygenation in critically injured patients: a prospective observational study. J Trauma 2006;61(4):780-90. Zaharchuk G, Busse RF, Rosenthal G, Manley GT, Glenn OA, Dillon WP. Noninvasive oxygen partial pressure measurement of human body fluids in vivo using magnetic resonance imaging. Acad Radiol 2006;13(8):1016-24. Manley GT, Rosenthal G, Lam M, Morabito D, Yan D, Derugin N, Bollen A, Knudson MM, Panter SS. Controlled cortical impact in swine: pathophysiology and biomechanics. J Neurotrauma 2006;23(2):128-39. Livingston DH, Lavery RF, Mosenthal AC, Knudson MM, Lee S, Morabito D, Manley GT, Nathens A, Jurkovich G, Hoyt DB, Coimbra R. Recovery at one year following isolated traumatic brain injury: a Western Trauma Association prospective multicenter trial. J Trauma 2005;59(6):1298-304. Zador Z, Magzoub M, Jin S, Manley GT, Papadopoulos MC, Verkman AS. Barton CW, Hemphill JC, Morabito D, Manley G. A novel method of evaluating the impact of secondary brain insults on functional outcomes in traumatic brain-injured patients. Acad Emerg Med 2005;12(1):1-6. Hemphill JC 3rd, Barton CW, Morabito D, Manley GT. Influence of data resolution and interpolation method on assessment of secondary brain insults in neurocritical care. Physiol Meas 2005;26(4):373-86. Hemphill JC 3rd, Smith WS, Sonne DC, Morabito D, Manley GT. Relationship between brain tissue oxygen tension and CT perfusion: feasibility and initial results. AJNR Am J Neuroradiol 2005;26(5):1095-100. Le TH, Mukherjee P, Henry RG, Berman JI, Ware M, Manley GT. Diffusion tensor imaging with three-dimensional fiber tractography of traumatic axonal shearing injury: an imaging correlate for the posterior callosal "disconnection" syndrome: case report. Neurosurgery 2005;56(1):189. Meeker M, Du R, Bacchetti P, Privitera CM, Larson MD, Holland MC, Manley G. Pupil examination: validity and clinical utility of an automated pupillometer. J Neurosci Nurs 2005;37(1):34-40. Monson KL, Goldsmith W, Barbaro NM, Manley GT. Significance of source and size in the mechanical response of human cerebral blood vessels. J Biomech 2005;38(4):737-44. Oshio K, Binder DK, Liang Y, Bollen A, Feuerstein B, Berger MS, Manley GT. Expression of the aquaporin-1 water channel in human glial tumors. Neurosurgery 2005;56(2):375-81; discussion 375-81. Oshio K, Watanabe H, Song Y, Verkman AS, Manley GT. Reduced cerebrospinal fluid production and intracranial pressure in mice lacking choroid plexus water channel Aquaporin-1. FASEB J 2005;19(1):76-8. Zaharchuk G, Martin AJ, Rosenthal G, Manley GT, Dillon WP. Measurement of cerebrospinal fluid oxygen partial pressure in humans using MRI. Magn Reson Med 2005;54(1):113-21. Binder DK, Lyon R, Manley GT. Transcranial motor evoked potential recording in a case of Kernohan's notch syndrome: case report. Neurosurgery 2004;54(4):999-1002; discussion 1002-3. Binder DK, Oshio K, Ma T, Verkman AS, Manley GT. Increased seizure threshold in mice lacking aquaporin-4 water channels. Neuroreport 2004;15(2):259-62. Govindaraju V, Gauger GE, Manley GT, Ebel A, Meeker M, Maudsley AA. Volumetric proton spectroscopic imaging of mild traumatic brain injury. AJNR Am J Neuroradiol 2004;25(5):730-7. Manley GT, Binder DK, Papadopoulos MC, Verkman AS. New insights into water transport and edema in the central nervous system from phenotype analysis of aquaporin-4 null mice . Neuroscience 2004;129(4):983-91. Mosenthal AC, Livingston DH, Lavery RF, Knudson MM, Lee S, Morabito D, Manley GT, Nathens A, Jurkovich G, Hoyt DB, Coimbra R. The effect of age on functional outcome in mild traumatic brain injury: 6-month report of a prospective multicenter trial. J Trauma 2004;56(5):1042-8. Oshio K, Binder DK, Yang B, Schecter S, Verkman AS, Manley GT. Expression of aquaporin water channels in mouse spinal cord. Neuroscience 2004;127(3):685-93. Papadopoulos MC, Manley GT, Krishna S, Verkman AS. Aquaporin-4 facilitates reabsorption of excess fluid in vasogenic brain edema. FASEB J 2004;18(11):1291-3. Papadopoulos MC, Saadoun S, Binder DK, Manley GT, Krishna S, Verkman AS. Molecular mechanisms of brain tumor edema . Neuroscience 2004;129(4):1011-20. Quinones-Hinojosa A, Binder DK, Hemphill JC 3rd, Manley GT. Diagnosis of posttraumatic transverse sinus thrombosis with magnetic resonance imaging/magnetic resonance venography: report of two cases. J Trauma 2004;56(1):201-4. Solenov E, Watanabe H, Manley GT, Verkman AS. Sevenfold-reduced osmotic water permeability in primary astrocyte cultures from AQP-4-deficient mice, measured by a fluorescence quenching method. Am J Physiol Cell Physiol 2004;286(2):C426-32.